Spring fever seems to be going around. Everyone I talk to is longing for this winter be over and spring to start. After a long winter, spring cleaning always feels so refreshing. Spring cleaning is a great way to air out our homes, and give them a much-needed refresh after being closed up all winter long. And it seems like many of you agree with this as requests for some updated spring cleaning checklists have soared since the beginning of February. 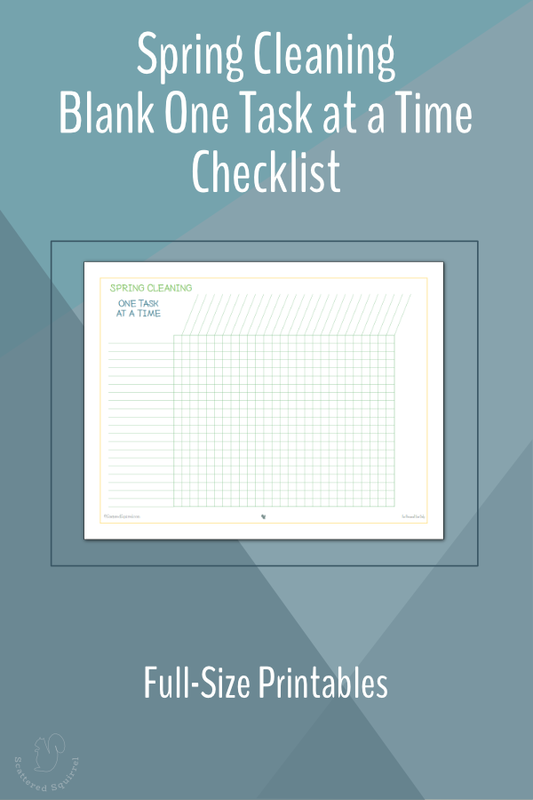 I receive at least one email a day asking about spring cleaning printables, and I thought March would be the perfect month for some reader requested, updated, spring cleaning checklists. With winter finally, if reluctantly, giving way to warmer weather now is a great time to start thinking about spring cleaning. We have a bunch of spring cleaning checklists that I talk more about in the post “Spring Cleaning Printables”, but as with all things, there is always room for improvement. When I first shared those I never dreamed that two years later people would still want them. I certainly didn’t think of creating blank versions for others to tailor to fit their own needs. And I never imagined you would want them enough to request blank versions, but here we are, and I couldn’t say no to you. I have to say, I had a little bit of fun with them. I changed up the colours and fonts, and well, I guess you could say I gave my spring cleaning checklists a little spring cleaning of their own. I hope you enjoy them. This first printable got a bit of a facelift back in October during the 31 Days 31 Printables series. But I was already in full edit/create mode and I just couldn’t leave well enough alone. Aside from colours and fonts, I didn’t change one single thing. 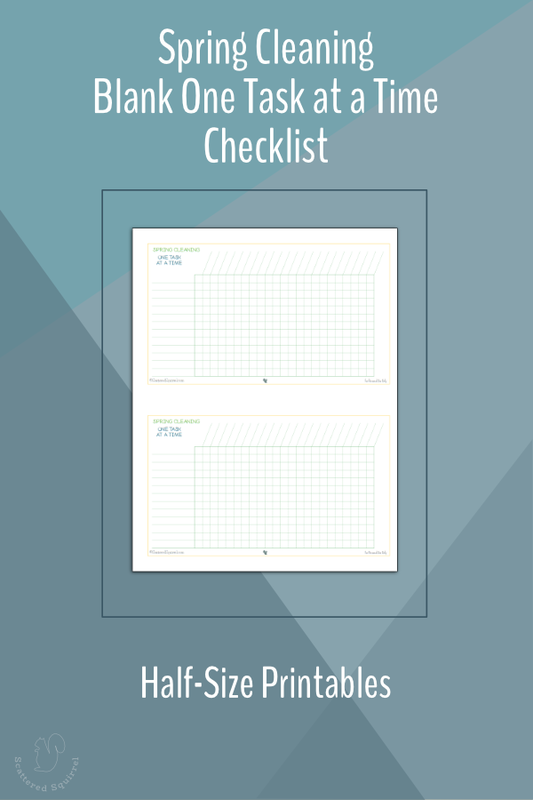 The one thing I didn’t do back in October was to make a half-size version of this checklist, so I decided this month was the perfect time to do it! I opted for writing room over trying to fit all the tasks onto one page, but that just means there is extra room for you to add your own tasks to the list. For those of you who would like a little more freedom to customize this spring cleaning checklist to your own liking, I made sure to make both a full and half size blank version. 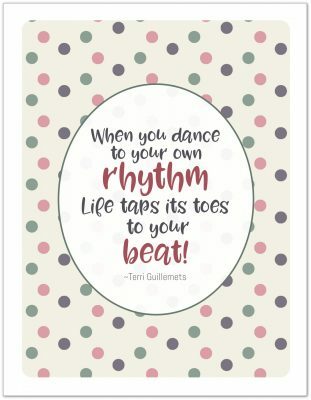 This way you can figure out what works for you, and make the printable work in a way that makes sense to you. 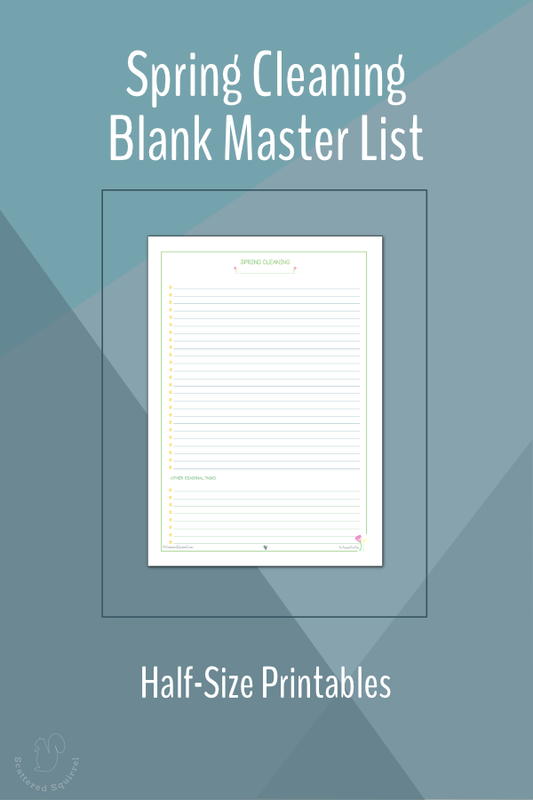 This next spring cleaning checklist is a blank version of my Room by Room Master List collection. In the original, there was one checklist page per room. Some tasks on the lists varied depending on the kind of room it was, and each one included a list of other seasonal tasks that might need to be done in that space. I opted to keep the blank version really simple because often times simple is best. There is a line under the Spring Cleaning title so you can create your own list for each room or area in your home. Or you could use it to plan your spring cleaning day by day and jot down the date in that space or use it however you like. And of course, this one got turned into a half-size version as well. 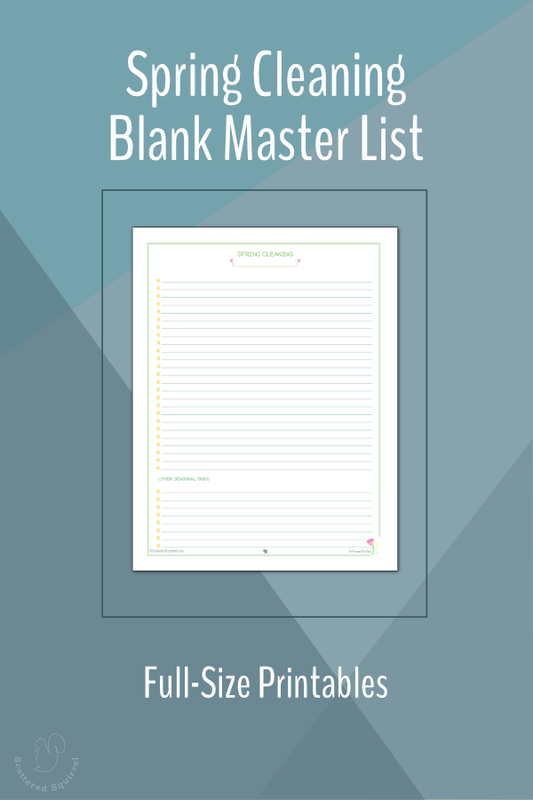 I am currently working on making the original master list printables into half-size versions, so if you’re looking for those I hope you’ll check back on Friday when I’ll be sharing that set along with my plan for spring cleaning this year. 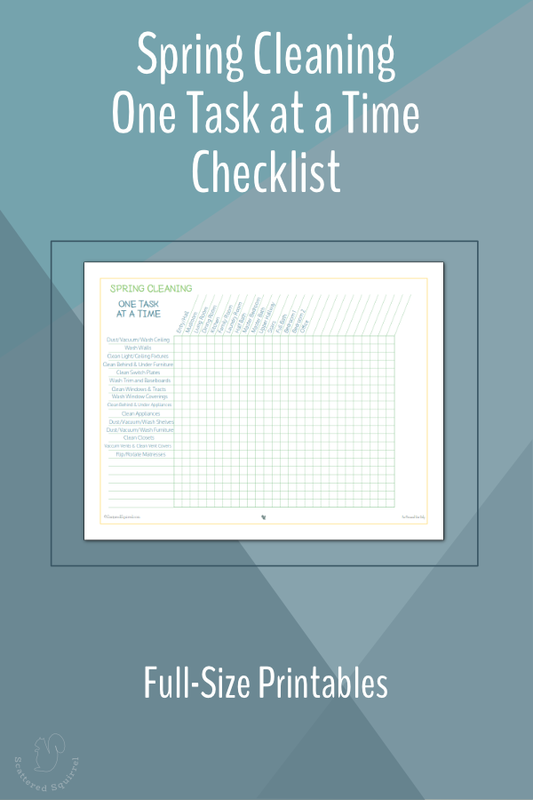 I hope you enjoy these spring cleaning checklists and remember if you have a request for a printable drop me a line or leave me a comment and let me know. I may not be able to honour all requests, but I do keep track of them all and will try my hardest to get them to you. Until next time, I wish you all a fantastic week! Previous Post: « We Turned Three!!!! These are great. Thank you. Now I just need to find the time to get it all done. I’m happy you like them. 🙂 I’m trying to figure out when I’ll be able to get to everything. I swear it’s going to take me from now to summer. lol Enjoy the printables. Alli! You have done it again! These lists are great! I downloaded the whole bunch! Some areas of my home have different needs, so the blank forms allow me to figure out what need to be done and set up the form for that area. When I am done, these will be placed into my Household Notebook so that I can use them again. I store forms like this in sheet protectors and use a wax pencil to mark things off as they are done. Thank you so very much for these lovely forms. I’m so happy you’re finding them helpful! 🙂 I would never have thought of using a wax pencil with page protectors. I used to use a dry erase marker, but it never worked as well as I wanted it too. I’ll have to check those out. 🙂 Have fun with the printables.